Canadian rockers NICKELBACK will issue "No Fixed Address", their eagerly awaited eighth full-length album and inaugural release for Republic Records on November 18. Produced by NICKELBACK, the CD's standout lead single "Edge Of A Revolution" is soaring up rock radio charts, becoming one of the band's fastest-rising singles. Fans can already purchase the first two singles, "Edge Of A Revolution" and "What Are You Waiting For?" Bolstered by thudding guitars and stadium-filling prowess that have been the hallmark of NICKELBACK's sound, "Edge Of A Revolution" highlights the band's songwriting and sonic evolution as it moves front and center on the anthemic track. A "Top 5 Greatest Gainer" week after week, "Edge Of A Revolution" recently entered the Top 5 at Active Rock and is shaping up to be another rock radio hit. Upon release, the song debuted at #1 on iTunes Rock Singles chart and Top 25 on the iTunes All Genre Singles chart. It also debuted at #13 on Billboard's Hot Rock Songs chart, while claiming #1 on the Hard Rock Digital Songs chart. The band's music video debuted worldwide on Yahoo! Music. Helmed by iconic video director Wayne Isham (METALLICA, MICHAEL JACKSON), the clip captures the song's lyrical call-to-arms with revolutionary energy. Meanwhile, the second single from "No Fixed Address", "What Are You Waiting For?" exploded at iTunes upon its release, quickly reaching #1 on iTunes Rock Singles chart. The song is set to impact at Pop and Adult Contemporary Radio shortly. Following a long tradition of massive crossover hits from the band, it delivers an unforgettable hook and sing-a-long choruses seemingly built for arenas. The new set will follow up 2011's platinum-selling "Here And Now". That album included the singles "Bottoms Up" and "This Means War". 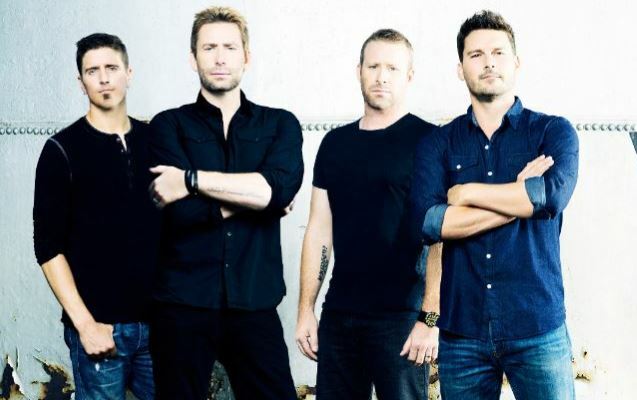 According to The Pulse Of Radio, NICKELBACK has sold more than 50 million records worldwide since breaking through with its 2001 album, "Silver Side Up". NICKELBACK plans to hit the road in early 2015 for a lengthy world tour in support of the new record. Chad Kroeger formed NICKELBACK in 1995 in Hanna, Alberta, with his brother Mike on bass and guitarist Ryan Peake. Drummer Daniel Adair joined in 2005. The group's second major label outing and third album overall, 2001's "Silver Side Up", was its commercial breakthrough, yielding the colossal hit single "How You Remind Me". 2005's "All The Right Reasons" spent 112 consecutive weeks in the Top 30 of the Billboard album chart, selling more than eight million copies in the U.S. alone and over 15 million copies worldwide. NICKELBACK has amassed sales of more than 50 million albums worldwide, with the band's last five releases all debuting in the Top 10 of The Billboard 200 album chart. NICKELBACK has been nominated for five Grammys, three American Music Awards, 12 Juno awards and were named "Group Of The Decade" by Billboard magazine in 2009.